This work is twinned with Xisk'opon Tal Li Chauke ~ Thunder Comes To Talk To Me as they are intended to be mirrors of each other. 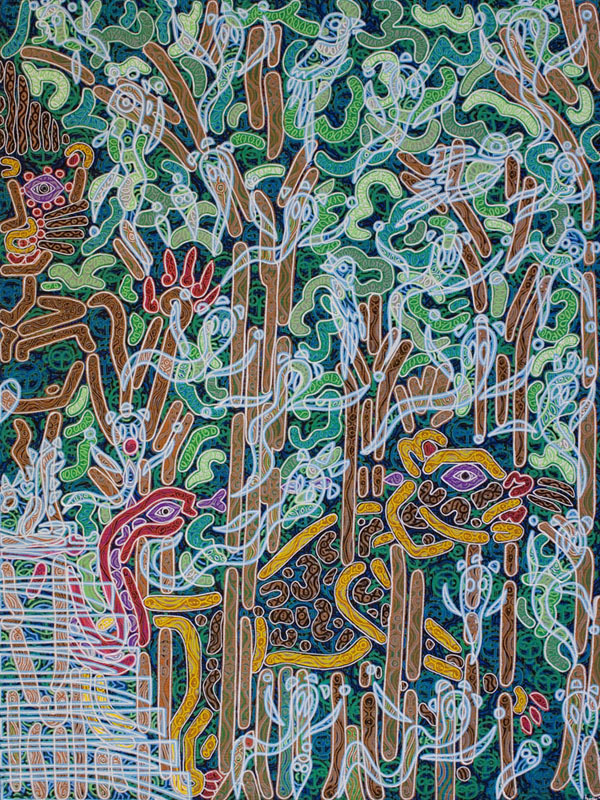 The Tzotzil Maya people of that region believe that they have several souls, one of which is an animal that lives inside a mountain. This animal soul, a chanul, roams the wild countryside when the owner is sleeping. I have often had dreams of jaguars throughout my life - see for example The Dream Of Jaguar Slash - and just before setting off on my travels I had another one, in which I again wandered in deep forests, coming to realise the trees and dark landscapes through which I was treading were aspects of my own hidden self.